Today the Clusters Go International in the Defence and Security sector call for proposals was published! 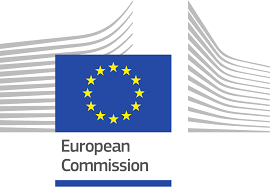 With a total budget for projects' co-financing estimated at EUR 800,000, this action aims at establishing the first European Strategic Cluster Partnerships-Going International in the defence and security sector, supporting European defence and security-related clusters and business network organisations to intensify collaboration across borders with other non-defence industrial clusters and to develop and implement joint strategies in the areas of dual use technologies, products and services towards non-EU countries. This action builds upon the 2014 "Clusters Go International" call (COS-CLUSTER-2014-3-03) that contributed to launch the first round of projects in January 2016 encouraging cluster organisations across Europe to establish 'European Strategic Cluster Partnerships-Going International' (ESCP-4i) and work concretely together to exploit synergies as well as to develop a joint internationalisation strategy for the benefit of their SMEs. This 1st call has supported the establishment of up to 26 Partnerships (ESCP-4i) including 15 co-funded projects gathering about 150 cluster organisations across 23 European countries and reaching out to more than 17000 SMEs across Europe. The Partnerships are active in various industrial and cross-sectoral areas including health, aerospace, mobility and logistics, agrifood, energy, marine and environment, packaging, materials and photonics, ICT, construction and sports. The partnerships target cooperation with third countries' economies, of which the main ones include Brazil, Canada, China, India, Japan, Mexico and USA. This action aims at establishing the first European Strategic Cluster Partnerships-Going International in the defence and security sector. The total budget earmarked for the co-financing of projects is estimated at EUR 800,000. The maximum grant per project will be EUR 200,000. EASME expects to fund four proposals. The grant is limited to a maximum reimbursement rate of 75% of eligible costs. EASME reserves the right not to distribute all the funds available. Please find more information on call, conditions and documents here.